Even without the combustion, nicotine is a vasoconstrictor that narrows blood vessels and drives up blood pressure. Doing that a dozen times a day is less bad than getting lung cancer, but it’s still not great. Besides, there is no study on what inhaling those “generally recognized as safe” compounds might do to your lungs if you inhale them daily for a few decades. It’s hard to imagine that the health effects could be worse than setting something on fire and deliberately breathing the smoke. But they’re probably not as good as quitting. “The antismokers think we’re going to win—that we can get to zero tobacco,” says Kleiman. If that’s what you believe, then you’re likely to endorse stiff restrictions on e-cigarettes. On the other hand, if you think U.S. tobacco consumption will stay stubbornly stuck between 10 percent and 20 percent of the population for the foreseeable future—which means tobacco deaths will remain in the hundreds of thousands annually—you’re more likely to be agitating for the federal government to take a light hand, even if it means opening the door to the possibility of a renewed national mania for nicotine. Among the FDA’s most difficult decisions will be determining whether e-cigarettes will be a gateway product, encouraging young smokers to develop a nicotine habit that might lead to tobacco use. After all, many of the things that make e-cigarettes attractive to smokers make them even more attractive to minors. It’s actually pretty unpleasant to start smoking—it causes dizziness, it causes coughing, and it usually takes kids a while to learn to inhale—but anyone can inhale e-cigarette vapor on the first puff. And since e-cigarettes don’t have much odor, they’re harder for parents to detect. During the debate over New York’s policy, a September report from the Centers for Disease Control and Prevention showing e-cigarette use on the rise among teenagers was prominently discussed. Spokesmen for Altria Group (MO), Reynolds American (RAI), and Lorillard—the Big Three of tobacco—are in agreement that children should be prevented from buying e-cigarettes, just as they are prevented from buying the regular kind. 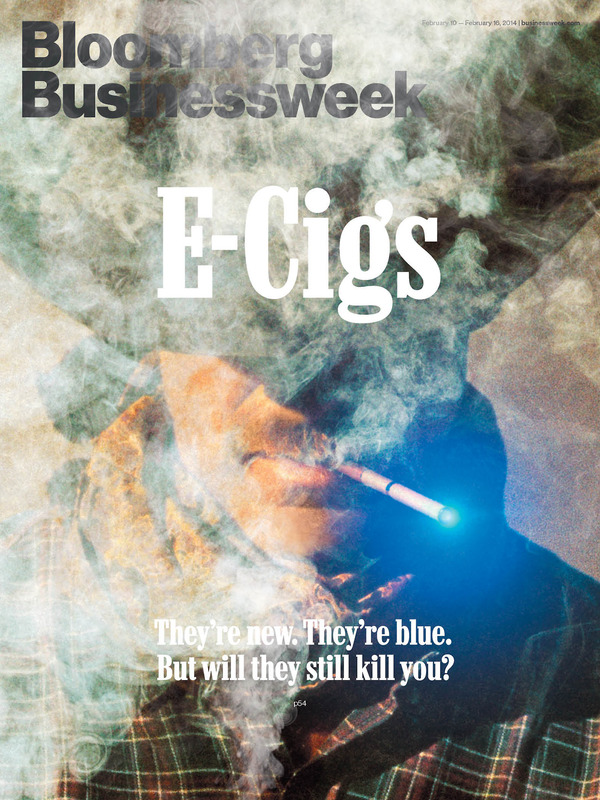 –Megan McArdle, in Bloomberg Businessweek, on the regulatory and health questions arising from e-cigarettes. Read more from Bloomberg Businessweek.